The use of a rock quarry set into a mountainside made for some epic terrain and hills to conquer. The steepness of the hills made even relatively short distance sandbag carries and bucket brigade carries all the more difficult. The mountain also offered plenty of water in the form of long streams that we slogged through for what seemed like a solid mile and also a fair share of mud. 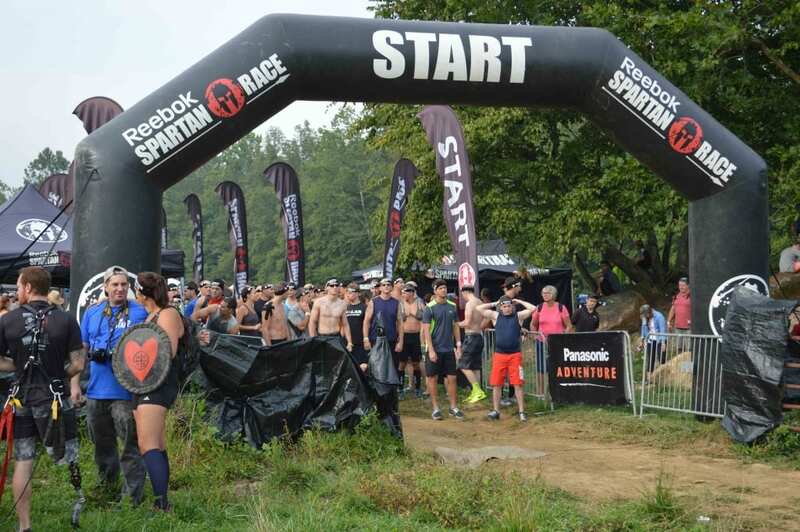 Speaking of mud – a decision was made on course by Spartan that had some controversial results. 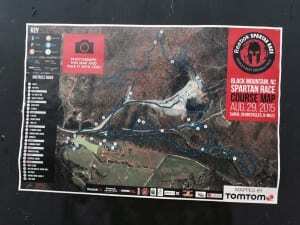 Somewhere just prior to the 8:45 wave, Spartan decided to reroute an early portion of the course that featured chest deep, shoe sucking mud. Some of the earlier racers that trudged through this mud were passed up by later waves that were rerouted around it on the fly. Spartan has definitely stepped up their game since I last ran one of their courses about 6 months ago. 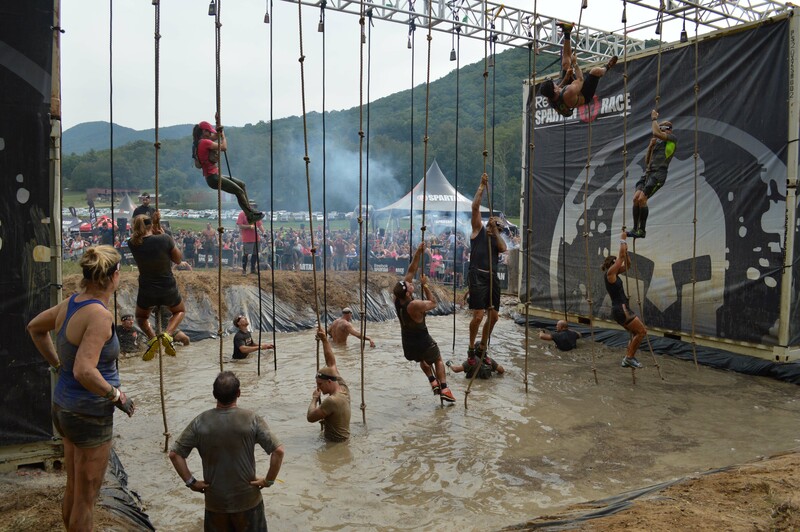 Many of the standard obstacles remained unchanged like the Atlas Carry, Barbed Wire Crawl (there were two! ), and the Fire Jump. But some of the obstacles were new to me and many of the runners on course noted that some of the obstacles seemed to have gotten bigger. Most notably the Multi-Rig, one of the Wall Climbs, and the Hercules Hoist seemed to be on steroids at this event. The Multi-Rig started with an 8-foot section of pipe suspended by ropes that slanted upwards. You had to shimmy along this and then swing to some suspended rings, then swing and grab onto to a softball-sized orb, then across to some free swinging ropes, back to some rings, and then you had to ring the bell at the end of the 20 foot long obstacle. This was a burpee maker. In the time I watched waiting for this obstacle, I counted about 1 in 20 made it across successfully. About ¼ of the way into the course we encountered a vertical wall that most runners just stopped and stared up at. Most estimated the wall to be between 9 and 10 feet tall without any “helper ledges” like you see on many OCR walls. You had to be tall with better than average upper body strength or have serious vertical leap ability to conquer this wall without assistance. In the dozens of OCR’s I’ve completed I’ve never seen so many people (both men and women) climbing up one another to get over a wall. Very few people made it over this wall without help of some kind. Well done, Spartan. Another obstacle that got a lot of feedback from racers in the festival area and also in online posts was the Hercules Hoist. Many people thought that Spartan upped the weight in the bags you had to pull up to the top of the pulley and then lower it back under control the 25 feet or so the ground. 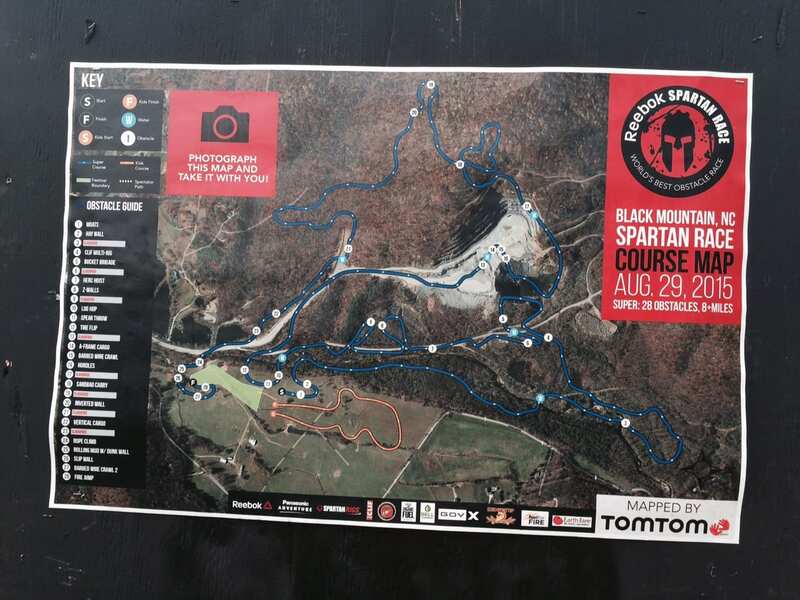 I couldn’t get a definitive answer from Spartan, but in all honesty I think Asheville was just a very upper body dominant race and when you arrived at the Herc Hoist your arms were already pretty tired. I don’t think the bags were noticeably heavier, but most other people did. Again, an “Atta Boy” to Spartan for course design. One “What the Heck” obstacle worth mentioning was the Memorization Wall. 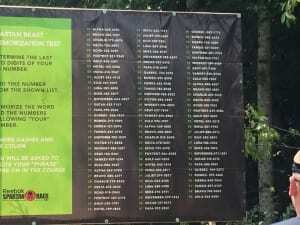 At the top of one of the climbs there was a large board with instructions (see photo) where you took the last two numbers of your bib number and memorized a corresponding word and a seven digit number. Mine was “Victor 0568424”. The sign implied that you would be tested later in the course and if you failed to remember the phrase, you got a 30 burpee penalty. So for the next 4 miles or so every time my foot struck the ground I chanted “Victor 0568424” in my head. Well, that moment never came and “Victor 0568424” is now forever scorched into my brain for no apparent reason. This was also a topic of lively discussion among racers in the post-race festival area, both positive and negative. Opinions vary. For me, it gave me a mental break – I just kept chanting my code word and was less focused on how bad my legs were burning on the many uphill climbs. 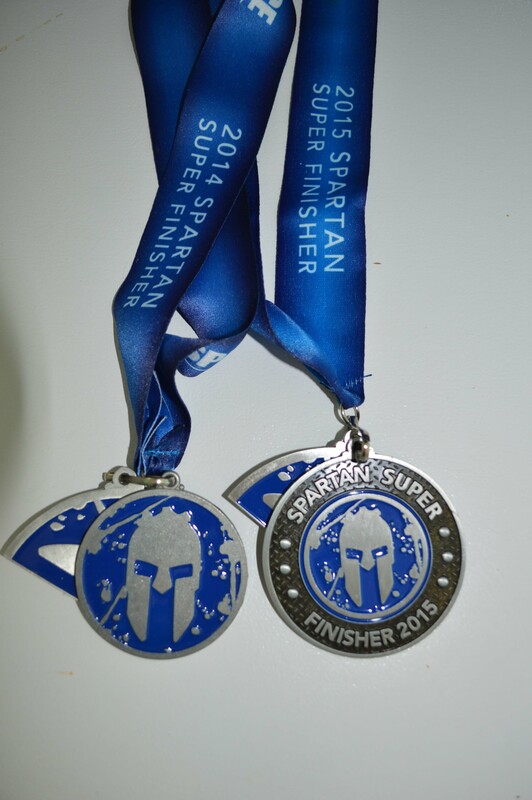 Spartan changed their shirts and medals this year, much for the better in my opinion. The medals are larger and better looking than last year and the shirts now have the Spartan logo in red, blue, and green to correspond to the Sprint, Super, and Beast distances respectively. In previous years everyone got the same finisher’s shirt. This year, your Super Finisher shirt is distinguishable from a distance from your OCR brother or sister’s red Sprint Finisher shirt. I like these changes. A lot. This was a brand new location for Spartan and at least for me it offered some new obstacles. I really enjoyed this course. 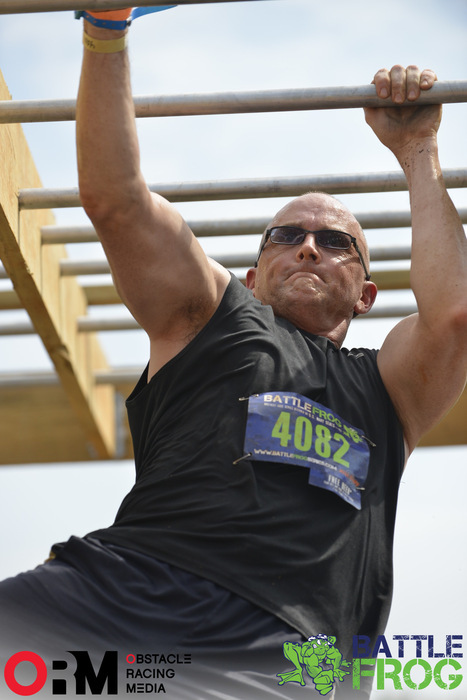 Plus it was the first Spartan I’ve completed and did zero penalty burpees (take THAT – Spear Throw!). I took off half a point for the controversial course reroute and the confusion this caused both on course and in the overall results. At least it didn’t affect the Elites where cash was on the line. This was a great course design on a beautiful piece of property with stunning views. Overall 4.5 out of 5 stars. I’ll be back next year for sure. 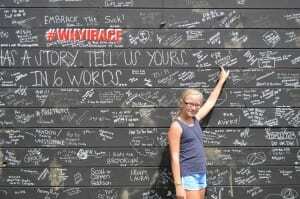 Do you have an opinion about the Asheville Race or any other Spartan Races this year?